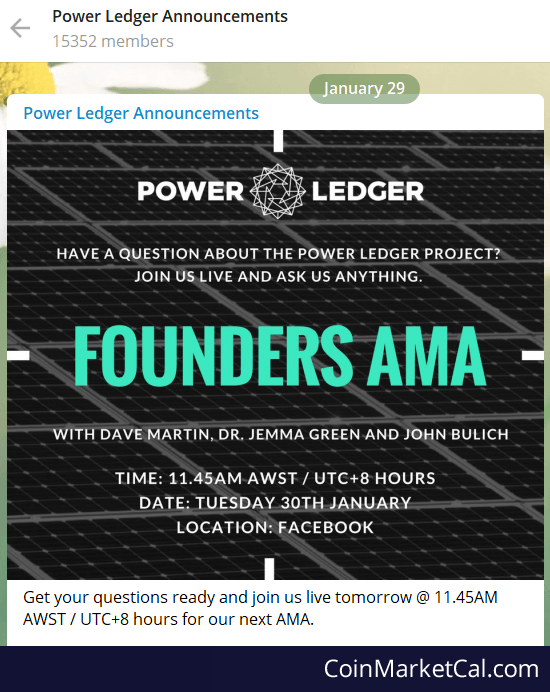 Power Ledger Founder's AMA with Dave Martin, Dr Jemma Green and John Bulich. On 30th January. 11.45AM UTC+8 Hours on Facebook.